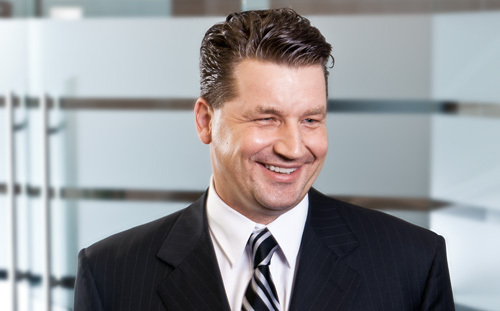 Mr. Popik is a Partner with Kingston Ross Pasnak LLP and practices out of the Edmonton office in the areas of financial litigation support, corporate finance, business valuations, forensic accounting and general accounting services. Mr. Popik is also a Director with Medallion Business Brokers Inc. and actively involved in merger and acquisition transactions across Western Canada. Mr. Popik obtained a Bachelor of Commerce degree, majoring in accounting, from the University of Alberta in June 1990 and his designation as a Chartered Accountant with the Alberta Institute in January 1994. In December 1997 he gained membership with the Canadian Institute of Chartered Business Valuators (with a dual specialization in business valuation and quantification of economic damages) as jointly administered through the University of Toronto and York University while, distinguishing himself by obtaining the highest mark in Canada on the Law and Valuation course. In September 1999 he was admitted to membership with the American Society of Appraisers, earning the professional designation Accredited Senior Appraiser, accredited in business valuations. In November 2000 he became an associate member with the Association of Certified Fraud Examiners. In 2012 Mr. Popik completed the final examination requirements of the Association of Certified Forensic Investigators of Canada and was admitted as a member. In 2015, Mr. Popik became a member of the Chartered Professional Accountants of Canada and Alberta. In 2016, Mr. Popik became Certified in Financial Forensics by the American Institute of Certified Public Accountants. Mr. Popik is currently pursuing his Chartered Arbitrator and Chartered Mediator professional designations. Mr. Popik has over twenty eight years of public practice experience and has developed an expertise in the provision of financial litigation support, business valuation, forensic investigative accounting, advisory, and corporate finance services. Mr. Popik completed his articles and practiced approximately nine years of his public practice career with one of Canada's largest national accounting firms, Deloitte & Touche LLP. Mr. Popik has been a partner with Kingston Ross Pasnak LLP since joining it in 1999, and is the practice group leader of its Financial Litigation Support Practice. Pursuant to the Rules of Court, Form 25 and the former 218.1 Statement, our preparation and presentation of quantifications of economic damages, including rebuttal reports involving personal injury (motor vehicle accident, slip and fall), fatality, wrongful dismissals, commercial damages, tort claims, breach of contract actions, fraud claims, and business valuation disputes in litigation, including the preparation of Expert Reports complying with the Rules of Court for both Plaintiff and Defendant actions filed in Alberta, British Columbia and the Yukon. Quantifications of special damages for self-employed individuals and employees, including bodily injury claims for past and future loss of income, increased costs, loss of housekeeping capacity, and income tax gross-ups, including the preparation of Expert Reports complying with the Rules of Court for both Plaintiff and Defendant actions in jurisdictions encompassing Western Canada. Business Valuations opining on Fair Value pursuant to S. 190 and S. 241 of the Business Corporations Act of Alberta as regarding dissent and oppression actions in litigation. Quantifications of Equalization Payments and Guideline Income calculations in matrimonial matters in litigation pursuant to the Federal Child Support Guidelines and the Spousal Support Advisory Guidelines. Quantifications of damages pursuant to municipal and provincial expropriations of businesses in contemplation of appearance before the Land Compensation Board of Alberta, most notably acting for several confidential clients forced to relocate or close following the expropriation of the Edmonton City Centre Airport. Quantification of business interruption claims pursuant to insurable claims, most notably acting for several confidential clients suffering a loss as a result of the Fort McMurray, AB wildfire of 2016. Conducted a forensic review of a trust account precipitated by allegations of mismanagement of funds by the trustee. Review of cash handling procedures of several bar operators with Video Lottery Terminals so as to ensure the completeness of cash for deposit and financial statement reporting. Assisted a municipality in completing a review of its cash handling procedures necessitated by their discovery of theft in excess of $1 million which had been perpetrated. Assisted a federal police detachment with a review of its cash handling procedures necessitated by allegations of theft at the payment window and vault perpetrated by an employee of the detachment. Numerous internal control reviews and investigations into fraud and defalcation allegations as regarding several Municipal Districts in Alberta. Assisted a client in the quantification and recovery of over $400,000 in marketable securities and cash that were taken by his investment advisor over a period of eight years and assessed the tax implications to determine an appropriate settlement. Assisted the shareholder of a road construction company with a comprehensive review of its books and records identifying defalcations perpetrated by an employee of the company via payments made to fictitious companies controlled by said employee. Numerous matrimonial related engagements involving the forensic tracing and tracking of funds from a joint or sole bank account(s) of the divorcing couple to suspected diverted transfers at the exclusion of the other party thereby skimming funds in an attempt to defraud the other party of a fair settlement of matrimonial property. Assisted a labor union in the investigation of ballot stuffing pursuant to a counterfeit mail-in ballot scheme perpetrated. Conducted a comprehensive forensic review of a public library pursuant to allegations of impropriety by the treasurer over a four-year period. Assisted numerous clients in reviews of fictitious payments, cloned vendors, payroll irregularities, diversion of cash, and cash handling procedures. Conducted advisory forensic procedures as regarding an alleged warranty claim against a provider of non-destructive testing on ships. Advising and assisting an engine repair facility to improve business processes, cash management, and assisting with matters related to an alleged breach of contract. Advising an insurer regarding a financial auditor's potential responsibility to detect fraudulent payroll activity in excess of $1 million. Advisory and forensic procedures to assist a Municipal District regarding specific allegations. Advising regarding said specific allegations and identifying and advising regarding mitigating actions to be taken to mitigate against tax filing risks. Advisory and forensic procedures to assist a Municipal District regarding specific business transactions and advising regarding internal control weaknesses, segregation of duties, asset stewardship, and the effective use of budgets as part of the asset stewardship function of the Municipal District. Valuations of numerous privately-owned Alberta based businesses, including: home construction companies, auto body repair shops, custom fabrication shops, automobile dealerships, agricultural supply stores and grain distributors, retail stores, restaurants, hotels, hardware and lumber stores (including numerous Home Hardware branded stores), cabinet manufacturing, security and monitoring, spindle manufacturing, fitness equipment and supply stores, golf courses, health clubs, carpet and flooring supply stores. Goodwill impairment testing and purchase price allocations on transactions across Western Canada. Valuation of numerous professional corporations including those involved in the provision of engineering, accounting, medical, dental and legal services. Comprehensive Valuation Reports pursuant to 61-501 going private transactions posted on www.SEDAR.com. Valuation of numerous financial planning, asset management companies, insurance companies. Valuation of numerous oilfield servicing companies in the Alberta oil patch. Valuation of a company operating a tramway in the tourism industry in Jasper, Alberta. Valuation of a company operating a chain of Sylvan Learning Centers in Western Canada. Valuation of several steel fabrication companies located across Western Canada. Valuation of several plant maintenance companies with a focus on Fort McMurray, Alberta and the tar sands. Valuation of intellectual property associated with Timber Quotas for several sawmills in Western Canada. Valuation of an entertainment promotion company which operates the Big Valley Jamboree, Alberta. Valuation of a company operating a meat processing and packing facility in Alberta, said operations were inclusive of direct marketing to Canadian retailers and export to international markets. Valuation of one of Alberta’s largest family-owned farm implement manufacturing companies located in Southern Alberta, including the valuation of proprietary trade secrets and intellectual property developed through refinement of the manufacturing process used. Valuation of one of the largest family-owned and locally-operated home improvement, building materials and lumber Home Centers with retail stores in each of Manitoba, Saskatchewan and Northwestern Ontario employing approximately 600 staff in over 750,000 square feet of retail, manufacturing, distribution and office space. Valuation of several USA based fast food chain franchises located throughout Western Canada. Numerous valuations of intellectual property relating to biomedical and high technology products. Valuation of a film and audio products company with intellectual property consisting of one of the world's largest privately assembled collection of animal action, birds, bugs, fish and mammals Stills Library, Sound Library and Completed Films gathered from various locations such as North America, Europe, China, Australia, New Zealand and Africa. Valuation of several aviation companies, avionics companies and avionic products (i.e. thick film dielectric electroluminescent display panels) and companies involved in private charter services including a company involved in the refurbishment of helicopters and the operation and sale thereof throughout North America. Valuation of a publicly traded science and technology company servicing the atmospheric and meteorological industry through manufacturing and sales facilities in Western Canada, the Netherlands, United States, France, Germany and the United Kingdom. Valuation of a company constructing a multi-million dollar molten sulphur terminal on the Port of Prince Rupert, the second deepest port in the world. Valuation of a company operating 16 retail liquor stores in Edmonton and Calgary, Alberta for purposes of assisting the shareholders in negotiations regarding a buyout of one of the shareholders. Valuation of a company operating a multi-million dollar mountain gondola lift, restaurants and souvenir shops in Banff National Park. Assisted a US real estate appraiser in valuing one of the world’s largest retail/entertainment/hotel properties in Edmonton, Alberta. Valuation of a marina on the west coast of Canada, Pender Island. Valuation of one of Canada’s largest furniture manufacturers and retailers. Valuation of a holding company for nine General Motors automobile dealerships, an insurance company and various real estate projects located throughout Western Canada for estate planning purposes. Valuation of a public company trading on the Alberta Stock Exchange, primarily involved in the hospitality industry in Jasper, Alberta and various real estate projects located throughout Western Canada for estate planning purposes. Valuation of a real estate holding company developing real estate ventures located throughout Western Canada for purposes of estate planning. Valuation of a multi-million dollar real estate holding company with extensive properties located throughout Western Canada, a manufacturing company engaged in the manufacturing of heating and ventilation products and multiple holding and investment companies located throughout Western Canada. Valuation of several sawmill and pulp and paper mills in Western Canada. Valuation of a group of companies in the advanced stages of the Health Canada application process for the production of medicinal marijuana. Due diligence on the sale of shares of a multi-national oil and gas extraction service company with operations headquartered in Edmonton, Alberta with offices located in the Middle-East and Bermuda. Due diligence on the sale of shares of a company headquartered in Calgary, Alberta, operating a borate mine in Argentina and a coal mine in Western Canada. Due diligence on the sale of shares of a newspaper publishing company servicing Northern Alberta. Due diligence and assistance with the restructuring of a national retail chain operating sports apparel and sporting goods stores located throughout Canada. Due diligence on the raising of mezzanine financing for a trucking company servicing Western Canada. Due diligence on the raising of mezzanine financing for a vegetation control and reforestation consulting company servicing Alberta and interior British Columbia. Due diligence on the sale of shares of a hotel/entertainment property operating out of Edmonton, Alberta. Numerous due diligence engagements with Aboriginal Business Canada (ABC) and an approved Consultant with ABC. Assessment of the purchase price of a Casino operated by a First Nations Band and the assistance with the determination of the purchase price for negotiations of a buyout between the casino owner operator in Las Vegas, Nevada and the casino owner operator in Enoch, Alberta including the detailed analysis of the cash flows of the Casino and normalization thereof. Cash flow analysis and debt sustainability study for the debt restructuring of a Casino located near Whitecourt, AB, relating to $45 million of debts with a mezzanine financier located in the United States. Cost allocation of an Alberta Casino for the Alberta Gaming and Liquor Commission and the First Nations Development Fund as regarding allocation of operating costs between gaming and non-gaming operations to assist them with ascertaining compliance with Provincial Regulations. Acted as transaction advisor on numerous multi-million dollar transactions on deals across Western Canada. Action No. 4803 105743 - Allan Bruce Edie and Linda Frances Edie. Action No. 4803 128067 - Peter Ahpin and Say Nai Ahpin. Action No. 0003 04499 - Maurice Prefontaine and Alison Martin and Peter Martin. Action No. 9803 17422 - Diane Gardner and Seema Saeed Farooqui and Rafi Ul Farooqui. Action No. 0403 20696 - Mary Kassian and Paul Roy. Action No. 0503 10139 - James Robinson et al and Fiesta Hotel Group Resorts et al. Action No. 0503 16142 - MS, a minor, by his Friend TS and DM Junior and John Doe. Action No. 0303 12682 - Motkoski Holdings Ltd. and Yellowhead County. Action No. 0601 04702 - Robert Charles Egglestone and Brock Norman Cox. Action No. 0610 00098 - Sandra Elizabeth McLaren vs. Estate of Kayla Elizabeth McLaren, et al. Action No. 0803 15387 - Jacqueline Fernet and The Board of Governors of the University of Calgary. Action No. 0603 10566 - Vermillion & District Housing Foundation vs. Binder Construction Limited, The Guarantee Company of North America, and Group2 Architecture Engineering Ltd.
Action No. 0101 18428 - Dennis Woronuk and Cybercorp Inc. vs. David Varley Woronuk et al. Action No. 4803 161308 - C.M.K. and G.S.K. Action No. 1101 13829 - Patrick Alan Mason vs. Daniel Harry Thompson et al. Action No. 08-A0004 - Harvey v. 5505 Yukon Ltd. et al. MGB 094/06 - MTS Allstream Inc. and Designated Linear Assessor for the Province of Alberta. MGB 036/07 - Pan Canadian Energy Services (Encana Corporation) and The Crown in Right of the Province of Alberta. MGB 053/08 - Ag Pro Grain Management Services Ltd. and Louis Dreyfus Canada Ltd. and Lacombe County et al. MGB 109/09 - Daishowa Marubeni International Ltd. and Municipal District of Northern Lights. 2009-176 Utilities Consumer Advocate (UCA) and AltaGas Utilities Inc. (AUI). 2017 L4-0002 Carter Family and Northwest Territories Power Corporation (as reported on by CBC News Canada). Mr. Popik has attended and presented viva voce evidence at Mediations, Arbitrations, Special Chambers Applications, and both binding and non-binding Judicial Dispute Resolutions. Mr. Popik has also acted as a formal Adjudicator. Approved and Registered as a Financial Agent with Elections Canada and has acted in that capacity for a Federal Elections Nominations Candidate, 2014 and 2018. Responsibilities include stewardship over donations and bank account(s), approving and rejecting expense submissions, disbursing funds, issuance of donation receipts, accounting and reporting to Elections Canada of the financial activity of the Nomination Candidate and filing the Elections Return with Elections Canada at the conclusion of the nomination period pursuant to the Elections Act of Canada. American Society of Appraisers Advanced Business Valuation Conference – Chicago, Illinois, 2011. American Society of Appraisers Advanced Business Valuation Conference – Phoenix, Arizona, 2012. American Society of Appraisers Advanced Business Valuation Conference – San Antonio, Texas, 2013. Uniform Standards and Principals of Appraisal Practice (USPAP) recertified, Cleveland, Ohio, 2014. Recertified with the American Society of Appraisers, September 2014. American Society of Appraisers Advanced Business Valuation Conference - Las Vegas, Nevada, 2015. American Society of Appraisers Advanced Business Valuation Conference - Boca Raton, Florida, 2016. American Society of Appraisers Advanced Business Valuation Conference - Houston, Texas, 2017. American Society of Appraisers Advanced Business Valuation Conference - Anaheim, California, 2018. Uniform Standards and Principals of Appraisal Practice (USPAP) recertified, 2018. Ongoing technical readings of learned papers and studies, including attendance at formal courses, conferences, workshops and webinars as offered by the Canadian Institute of Chartered Business Valuators, the American Society of Appraisers, the Chartered Professional Accountants of Alberta and Canada, and other professional bodies. Numerous "in-house" presentations to Edmonton based law firms regarding the expert accountant's role in the context of quantification of economic damages regarding: personal injury claims, loss of income claims, business interruption claims, forensic accounting and shareholder disputes (i.e. pursuant to dissent and oppression remedies sought under the provision of the Canada Business Corporations Act).